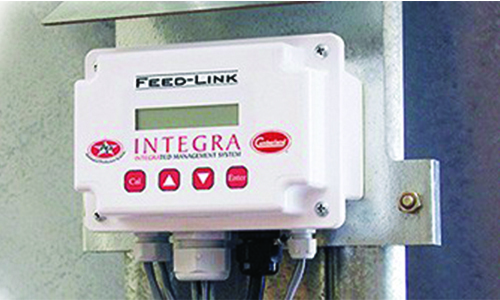 The Integra Feed-Link™ System from Cumberland provides a cost-effective method of monitoring and managing on-site feed inventory either at the site or from a remote location. Feed-Link™ can be easily adapted to new or existing facilities to provide accurate real-time data regarding feed inventory levels and feed consumption. Feed-Link™ eliminates the dangerous task of climbing bins to check feed levels, improving worker safety and decreasing labour cost. With Feed-Link™, feed levels can be properly managed, eliminating emergency calls for feed and production losses associated with running out of feed. The rugged load cell assemblies are specifically designed for the harsh environment of a poultry facility and adapt easily to most feed bins utilizing the existing anchor bolts. Two models of load cells are available; a standard unit for up to 5,000 lbs. (2,250 kg.) per bin leg and a high capacity model rated at up to 10,000 lbs. (4,500kg.) per bin leg. The compact design of the load cell assemblies only increases the overall height of the feed bin by approximately three inches (8 cm). 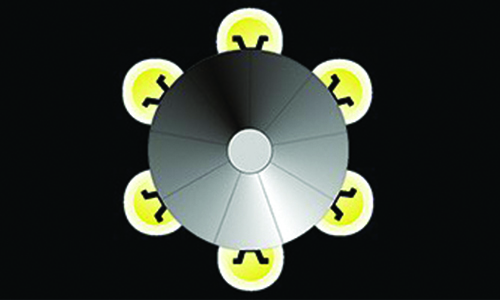 Feed-Link’s™ unique field calibration system in combination with the placement of a load cell under every leg allows for maximum accuracy in monitoring feed. The Feed-Link™ display unit can be mounted either on the bin or inside the house up to one hundred feed away. The digital display can be set to display pounds, kilograms or percentage of full. The display unit also serves as the interface to perform a simple calibration procedure after the system has been installed. Each display unit has an input for a water pulse meter, allowing water consumption to be monitored using the Feed-Link™ software. The water consumption data is collected and stored for a rolling 24-hour period, providing you with another tool to monitor water consumption by your birds.